Known throughout the world as the master of the macabre, Edgar Allan Poe is one of America’s most brilliant and original writers. Although he cared less for his short stories than his poems, and indeed considered himself primarily a poet, it is for his tales that he eventually became best known. Much of his work has been adapted for the stage and screen, including The Masque of the Red Death, The Raven and The Fall of the House of Usher. 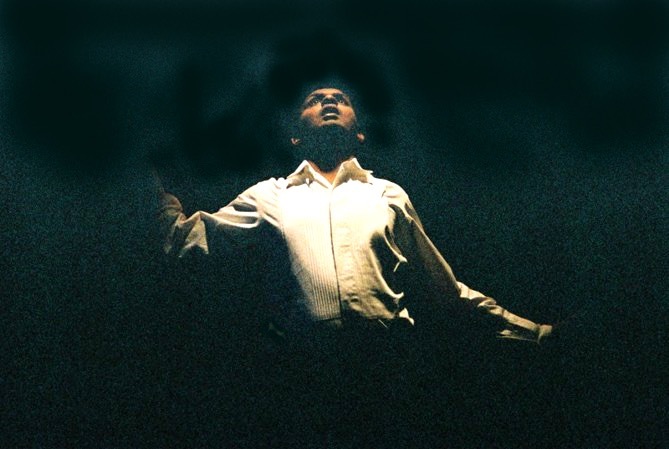 Ramesh makes use of Poe’s narratives style and explicit images as resources for making a piece of purely visual theatre. The adaptations go beyond a literal translation of Poe’s writing to combine an eclectic mix of visual and physical styles in order to present the dark characters and sinister plots. This is storytelling in a purely visual form. “Ramesh’s storytelling actually casts new light on the many facets of the story and its themes…. It was simply an opportunity to witness a master at work and make no mistake about it”.